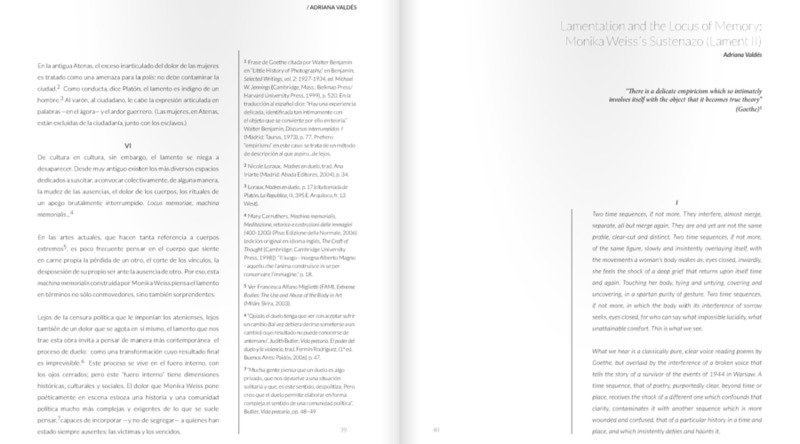 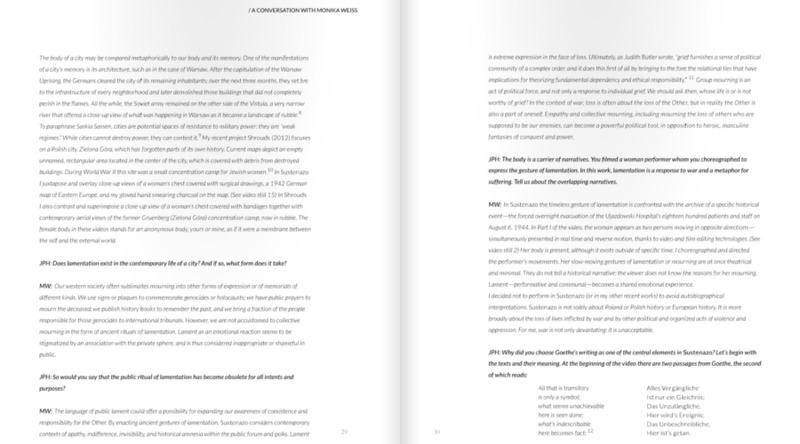 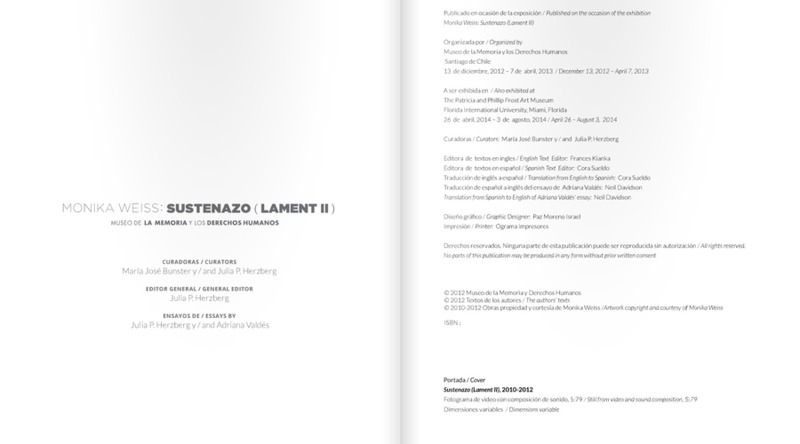 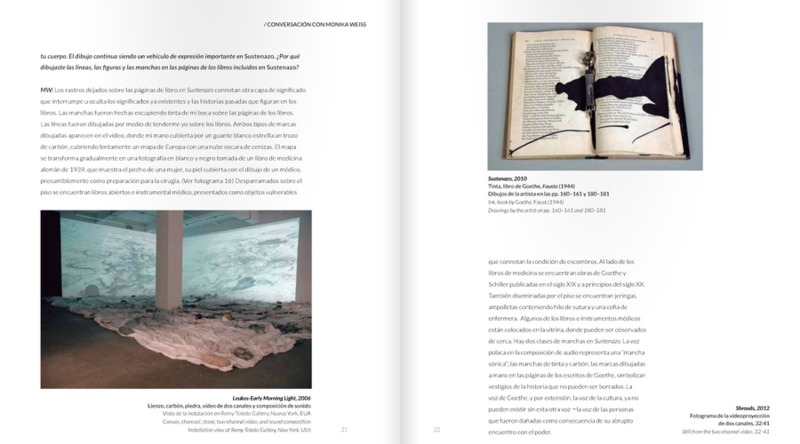 Museo de la Memoria y Los Derechos Humanos presents a monograph publication on the work of contemporary artist Monika Weiss in conjunction with "Monika Weiss: Sustenazo (Lament II)" exhibition, December 2012-April 2013. 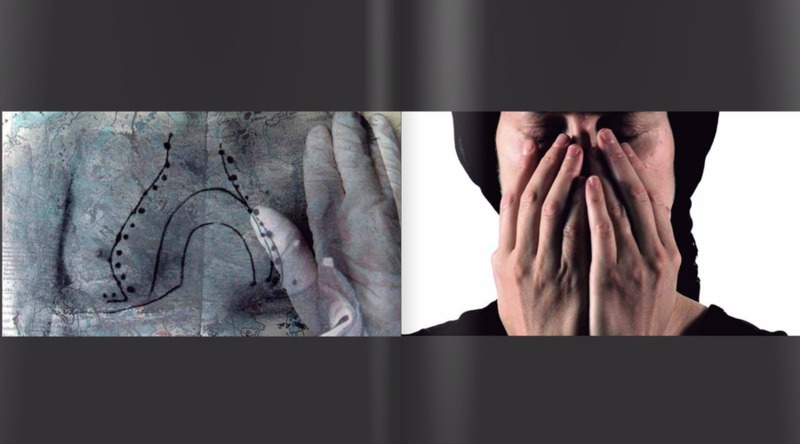 Edited by: Julia P. Herzberg. 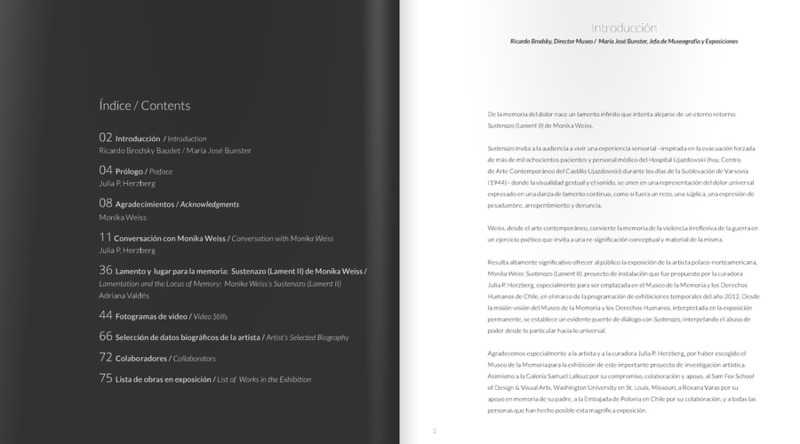 The eighty-eight page bilingual illustrated catalogue includes two essays: "Conversation with Monika Weiss" by Julia P. Herzberg and "Lamentation and the Locus of Memory: Monika Weiss's Sustenazo (Lament II)" by Adriana Valdés together with the Director's Introduction (Ricardo Brodsky Baudet / María José Bunster), Preface (Julia P. Herzberg), Video Stills, Artist's Selected Biography, Collaborators' Bios, and List of Works in the Exhibition. 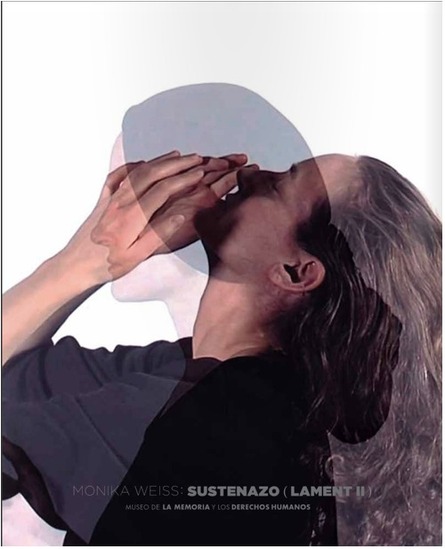 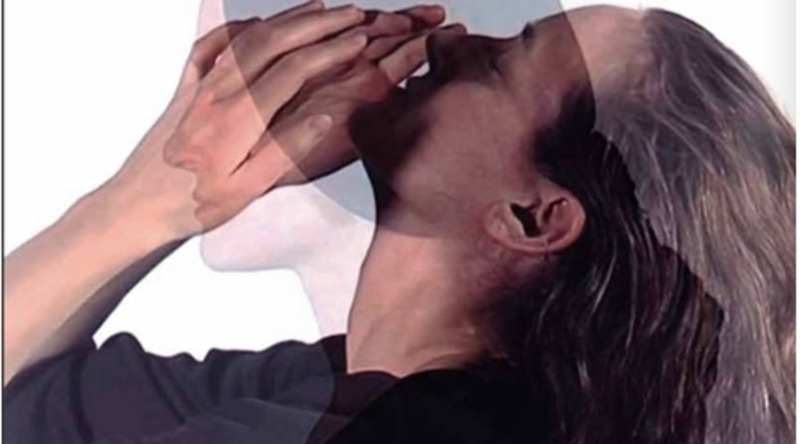 In the "Conversation" Monika Weiss provides a provocative discussion around: memory and amnesia in the construction of urban space; the metaphorical comparison of the body of a city to the human body and memory; the necessity for developing a language of public lament.